So I felt like I wanted to continue this ‘bar related food’ theme with a healthy twist for a little longer. 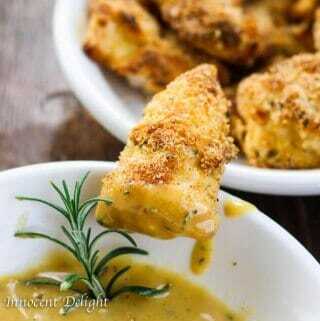 Hence these delicious crispy baked chicken tenders with honey mustard were borne. 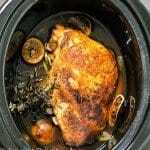 It’s my quest to find ways for healthy alternatives to my husband’s favorite football dishes. Chicken tenders with honey mustard are on almost every bar menu and they’re super good, but unfortunately deep deep fried. 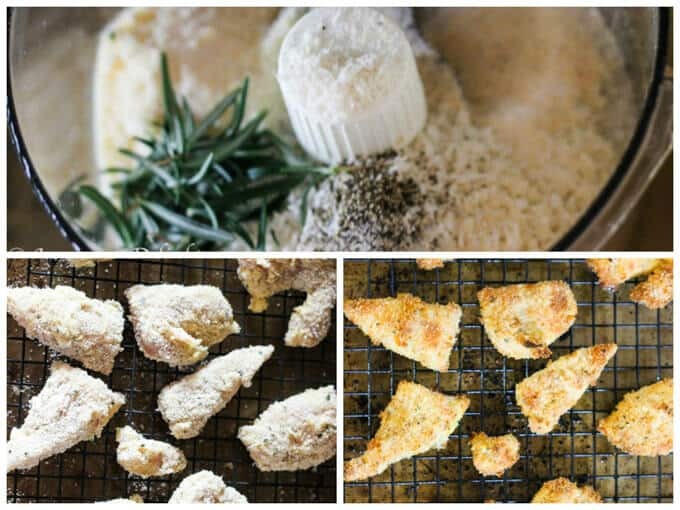 I made mine baked with delicious seasoned rosemary, garlic powder and parmesan cheese panko breadcrumbs. They were so crispy that you couldn’t easily say that they weren’t actually fried. And dipping them in this sweet and tangy honey mustard, with some chopped rosemary, made both of us want to continue eating. Seriously we couldn’t stop. But we actually didn’t have to. 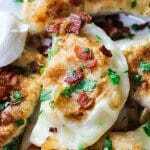 They are a perfect healthy football appetizer. My husband isn’t totally happy with my new approach to our Sundays. So in adding all these healthy alternatives, I need to compromise sometimes and order a scrumptious pizza too. 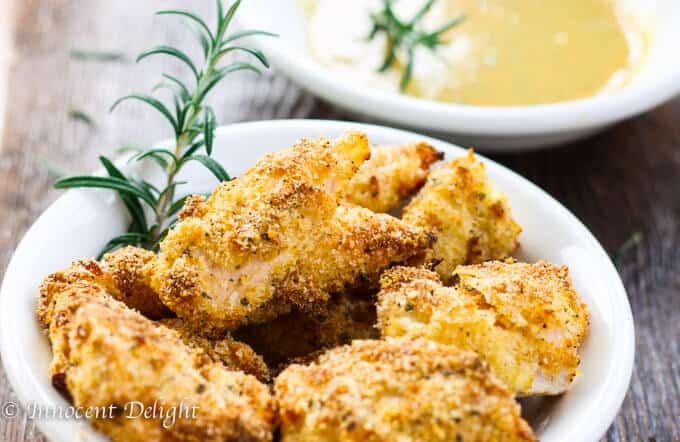 Let me tell you how easy these crispy chicken tenders were to make. I cut each tender in half and didn’t season. I wanted to make the breadcrumbs really tasty so I decided to forgo any seasoning on the meat itself. Rather, I made my seasoned panko in food processor (affiliate link). I added parmesan cheese, black pepper, garlic powder and rosemary. I didn’t add any salt, as the cheese already made them pretty salty. For the breading process I used corn starch instead of flower, added mustard to the egg mixture and finish with season breadcrumbs. This worked out perfectly. I made my own honey mustard sauce as well. Forget about buying one in a supermarket. It’s so simple to make and so inexpensive as well. Just mix in honey, mustard, red wine vinegar, water and chopped rosemary, and you’re done! I don’t know what is it, but there is something really special about this relationship between honey, mustard and rosemary. I cannot resist. Can you? After 15 minutes of baking sprinkle chicken with olive oil to achieve a golden brown crust. 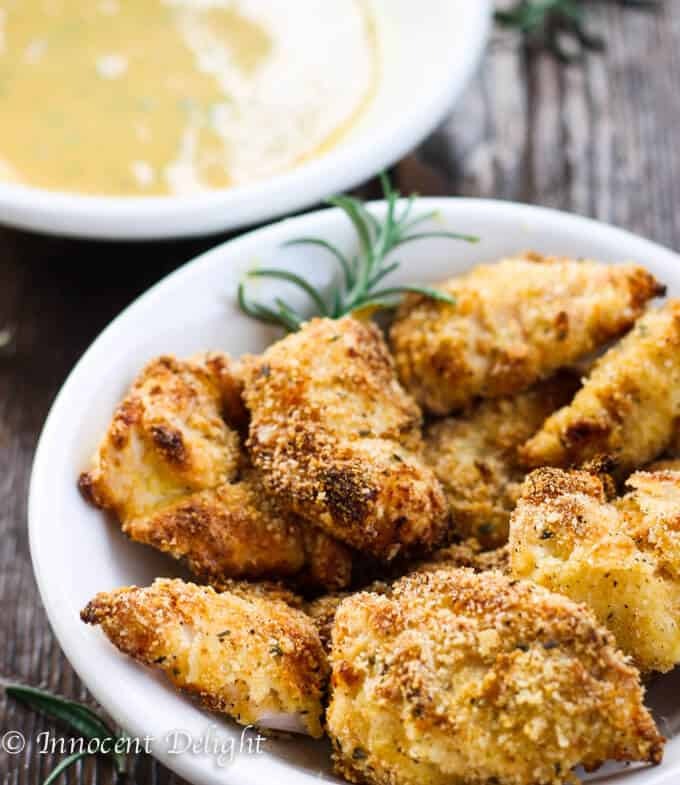 Definitely craving a massive bowlful of these chicken tenders drenched in that honey mustard sauce right now.. it’s hard to believe that the chicken tenders are baked they look so crisp, golden and delicious! 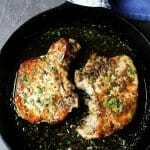 Great recipe.. thanks for sharing it. Ooh, these look so mouth-wateringly delicious!! 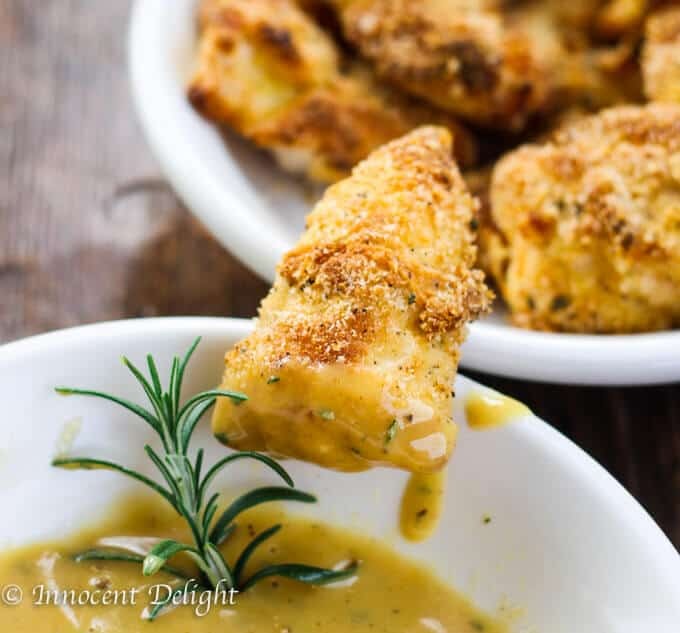 I’m a sucker for anything coated in panko crumbs and cheese 🙂 The honey mustard sauce sounds great – and I’ve even got some rosemary in the fridge, just waiting to be used up. Looking forward to trying this!! Thanks Tekesha. Try it and let me know how it came out for you 🙂 I’m sure your husband will love it!